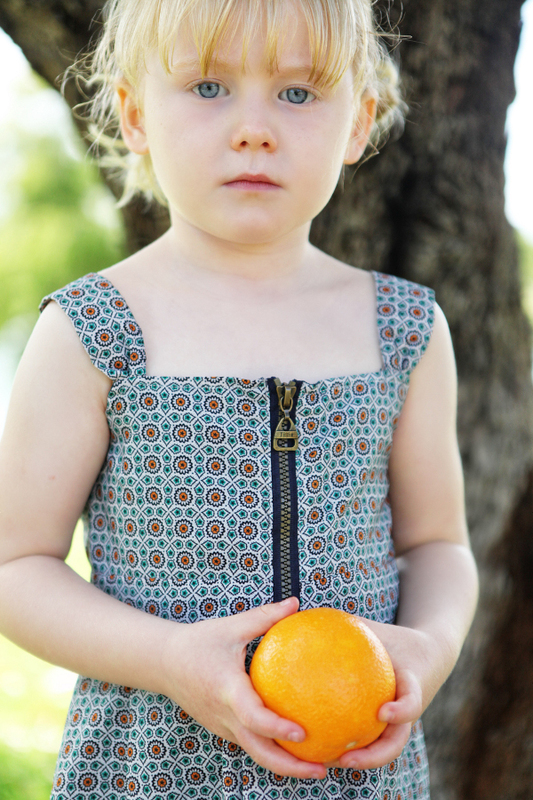 We love introducing you to the freshest Australian labels for children – and here’s a cracker. If you’re a mum of girls, or have some little ladies who are due a pretty dress or two, take a look at these delightful wares. The story behind Tillie is almost as gorgeous as the range. 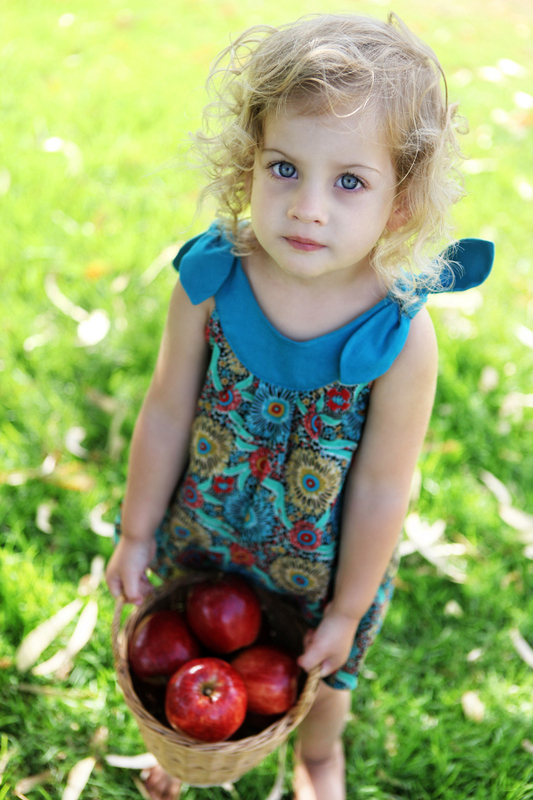 Mum of two girls Carmen McSporran likens her new label to a third daughter, and therefore gave it the same name she would have given a third child, Matilda – or Tillie for short. 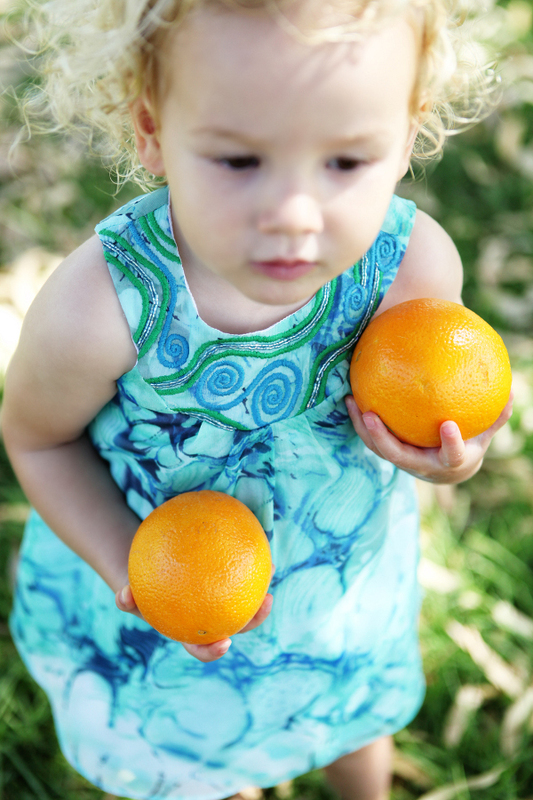 Being a mum, she’s made certain that her dresses are pleasing to the eye, while maintaining an easy wash and wear philosophy for parents – in fact, most of the dresses don’t need ironing. And they’re so comfortable they can be worn at nap time – so no need to change a tired little miss out of her favourite party dress when she falls asleep on the ride home! The dresses have a fresh, flowing feel – with an all-important sparkle edge. 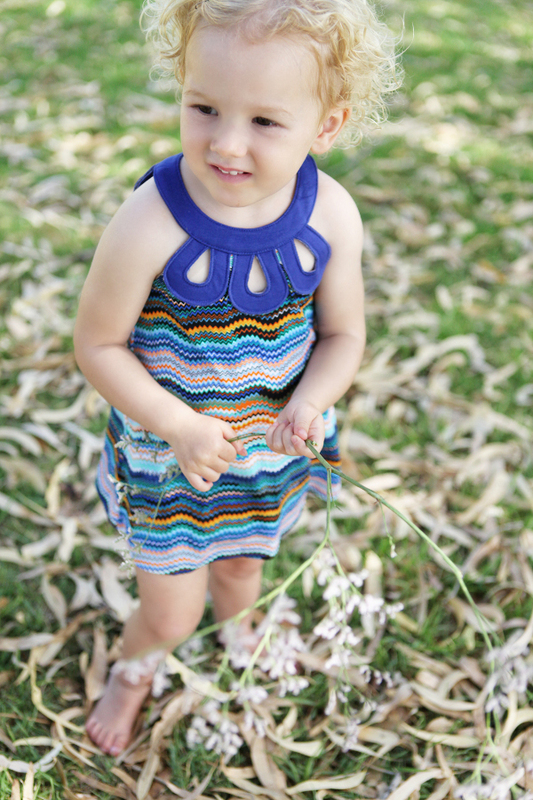 The Dominique beaded dress (priced at $49.95) has a neckline adorned with hand-sewn glass sea-beads and fine cotton embroidery. Made from printed chiffon and lined with light cotton voile, it’s light and as with the other dresses in the baby category, comes with a matching nappy cover. The aqua Annalise dress (at the top of the post) is blooming with Australian wild flowers, with unique 50s style shoulder ties. The blue Meesha dress also echoes a detailed neckline, which takes its inspiration from flower petals. 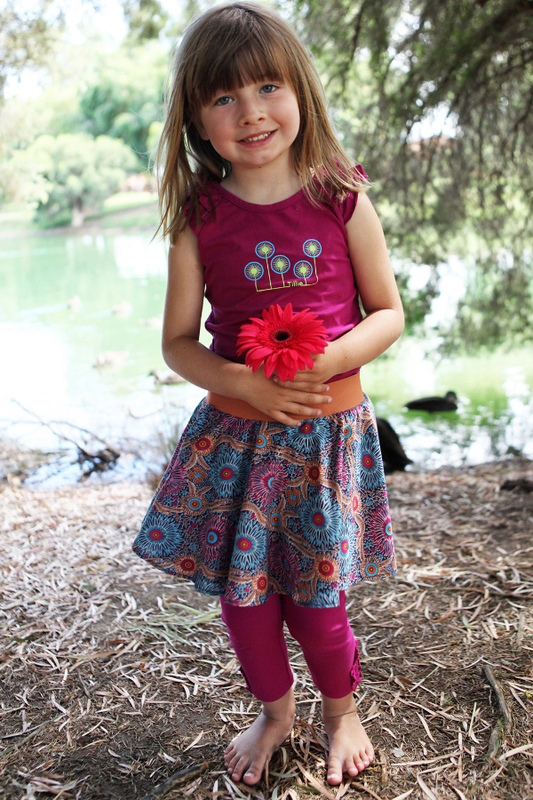 The baby dresses, jumpsuits and leggings range in price and sizes, starting at size 0. Tillie also has a superb selection for older girls, including the Nicole zip dress, which has a bold, antique brass zip as its feature. 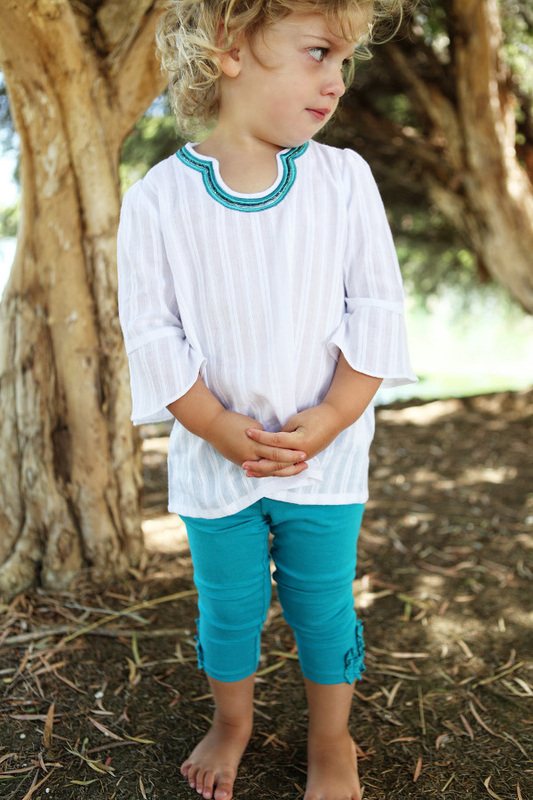 One of my favourite looks is the kaftan teamed with leggings – the kaftan is $35.95, the ruffle leggings are $17.95. Browse through the entire collection at Tillie.